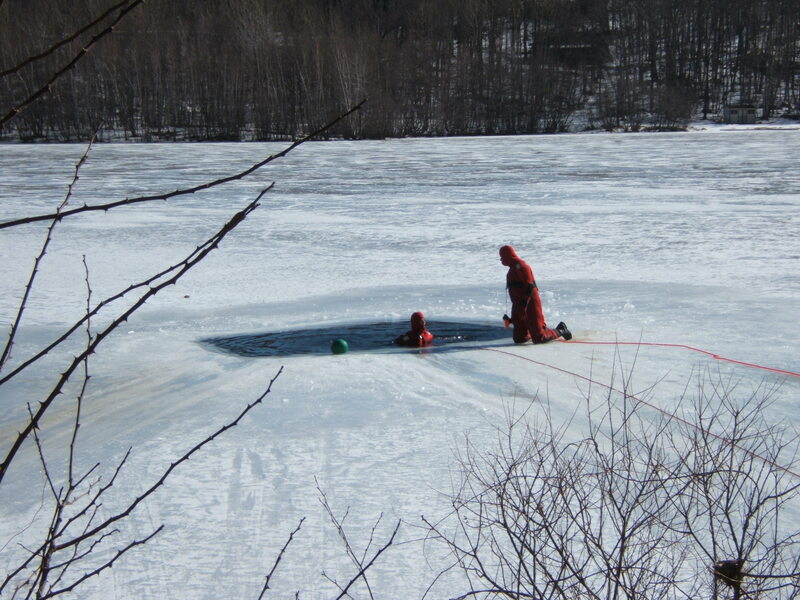 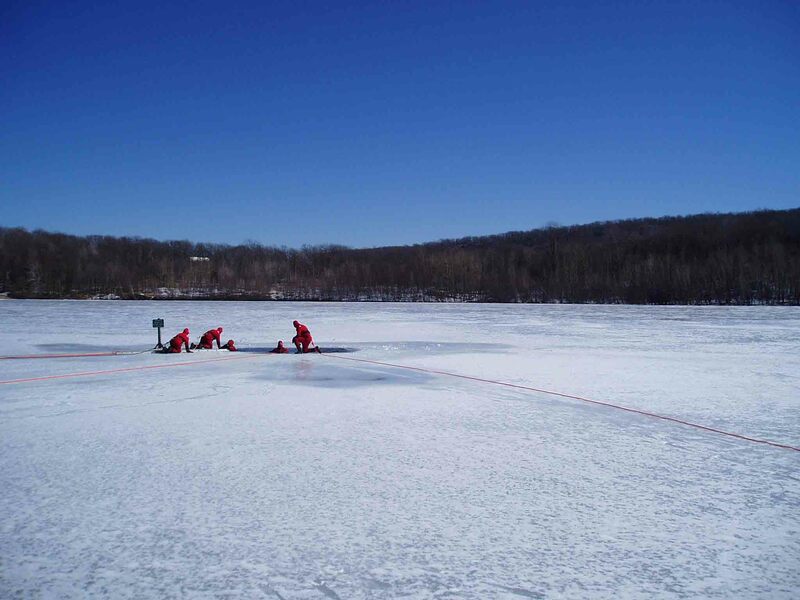 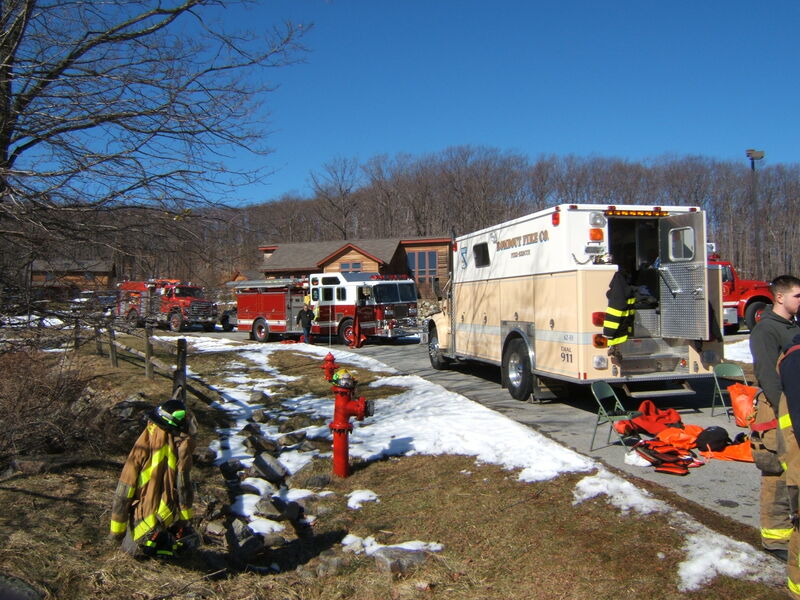 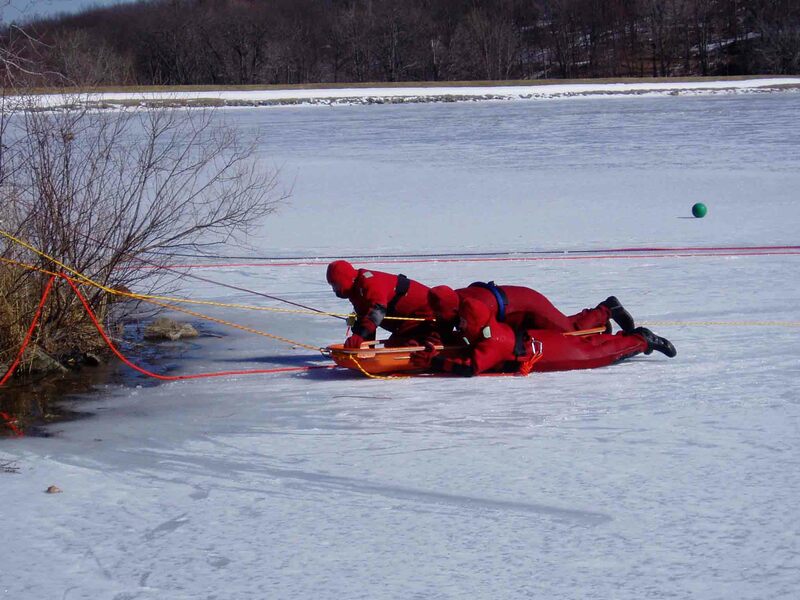 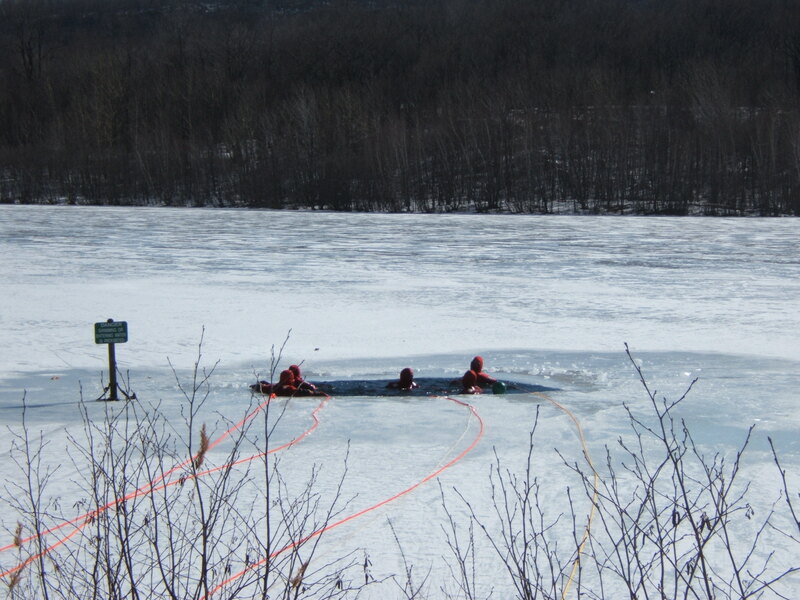 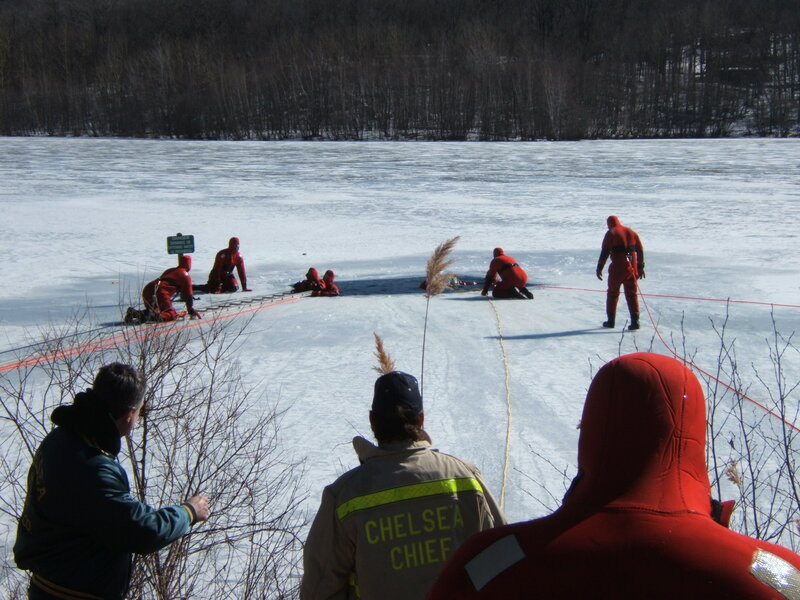 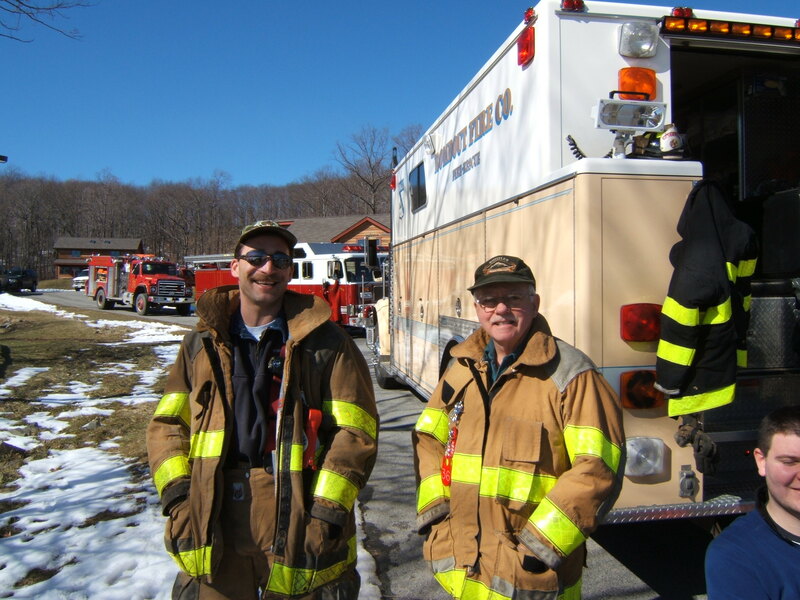 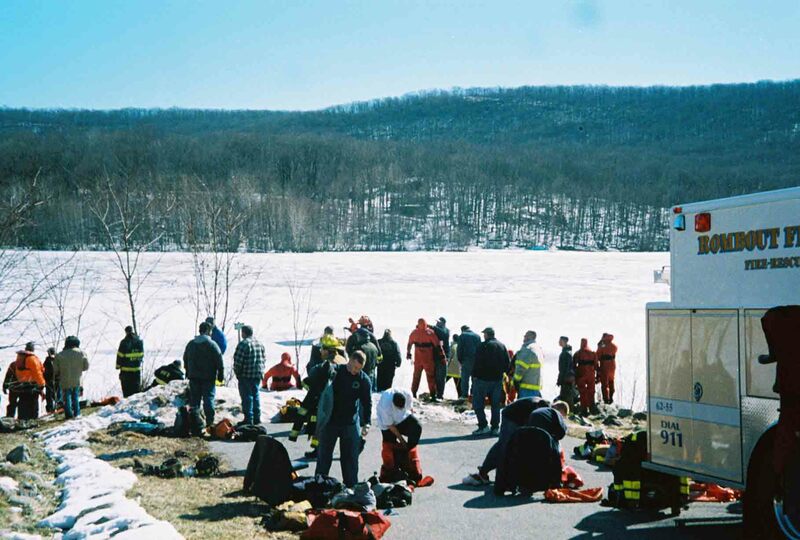 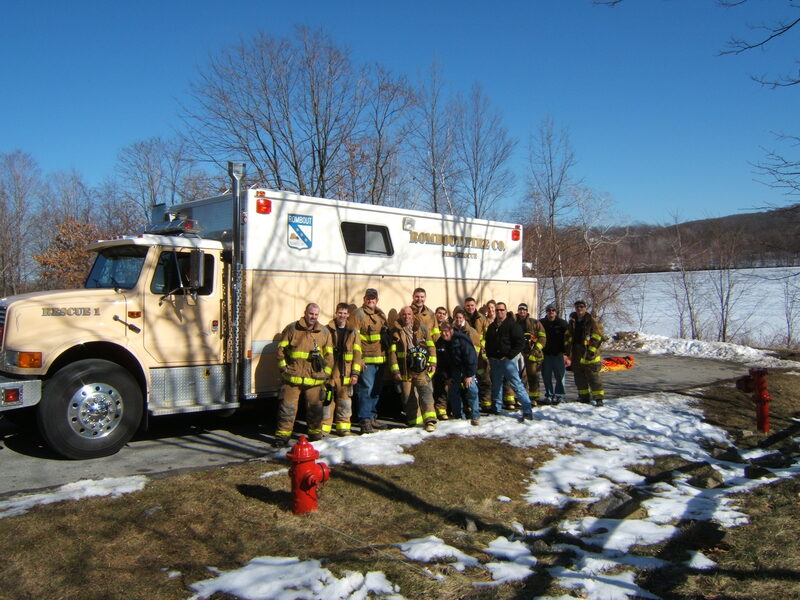 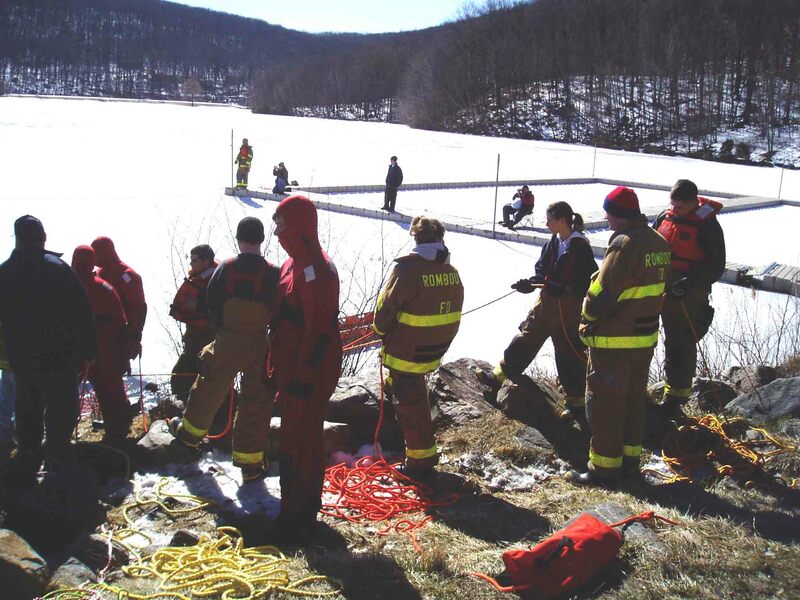 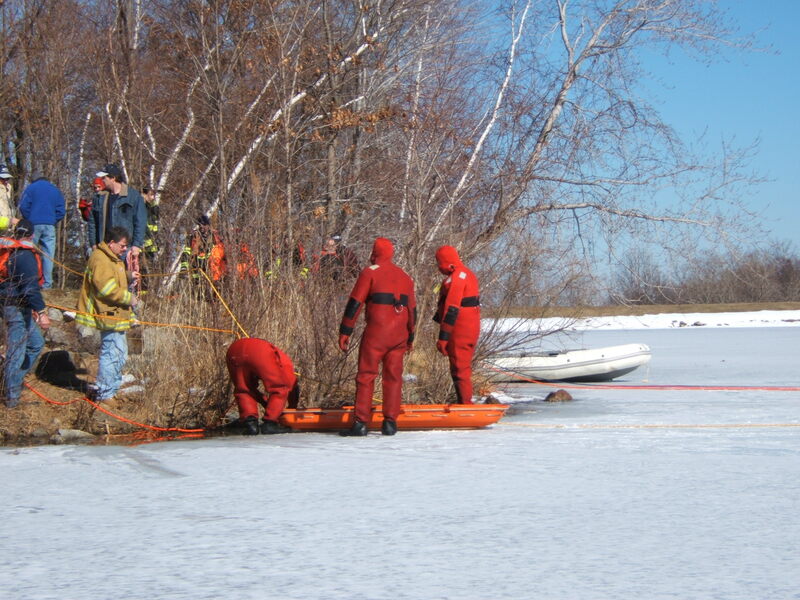 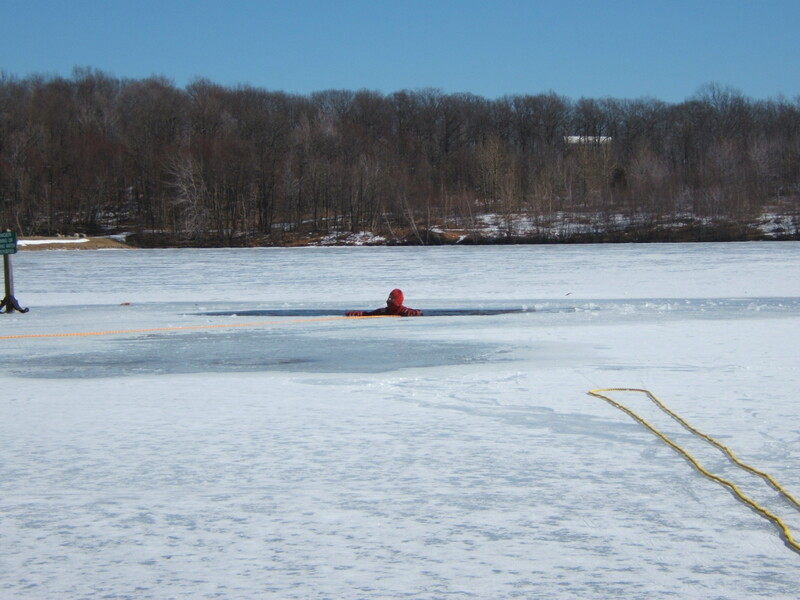 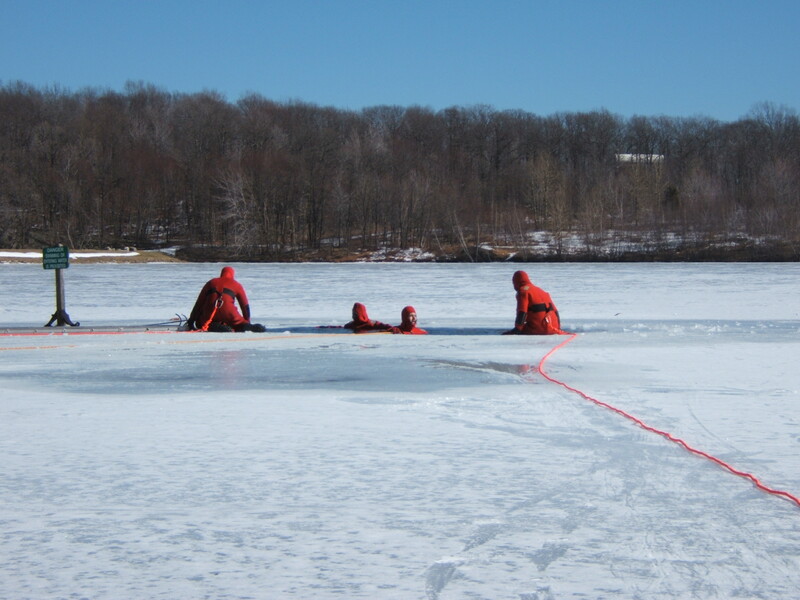 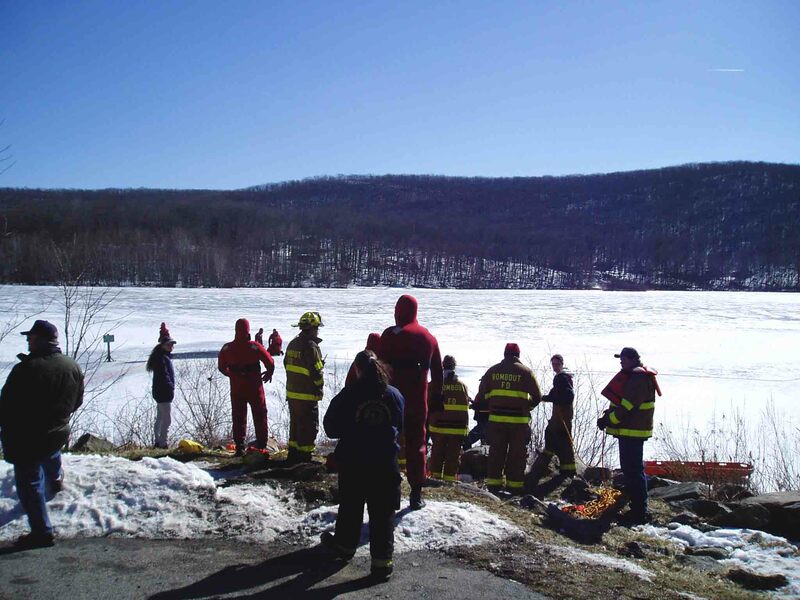 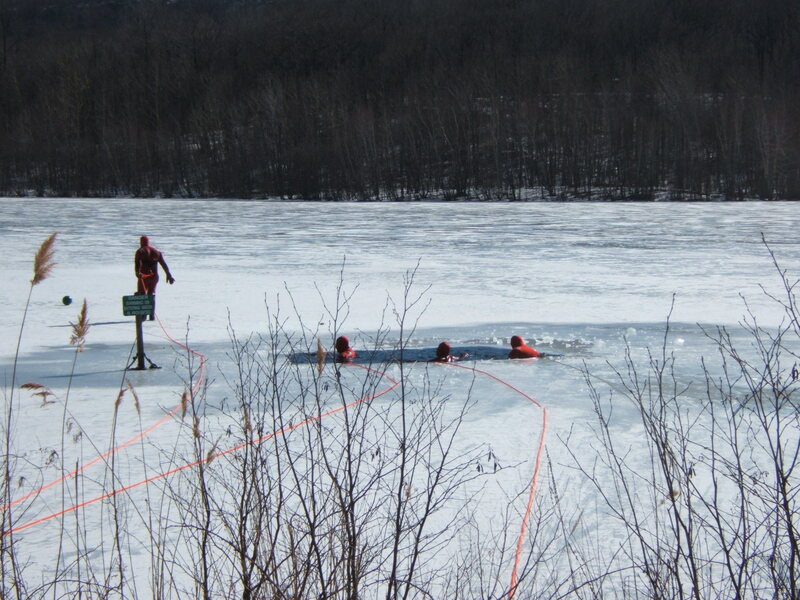 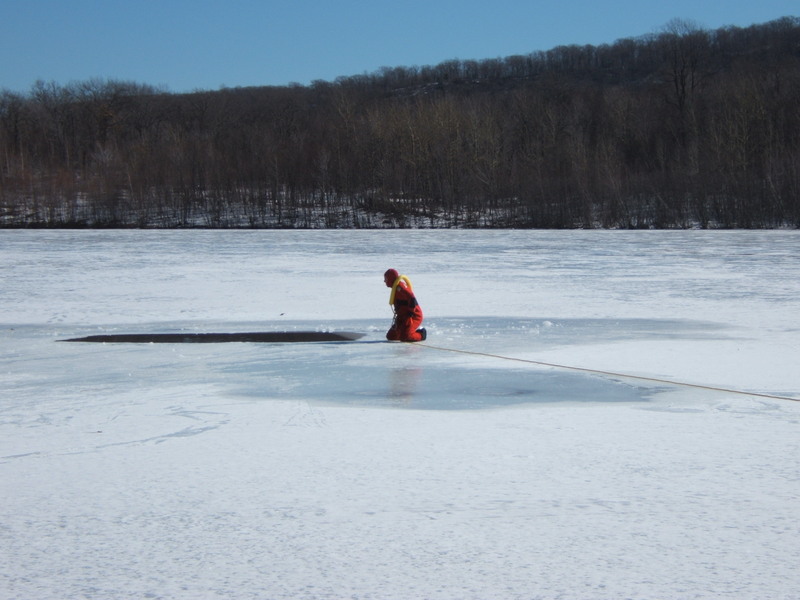 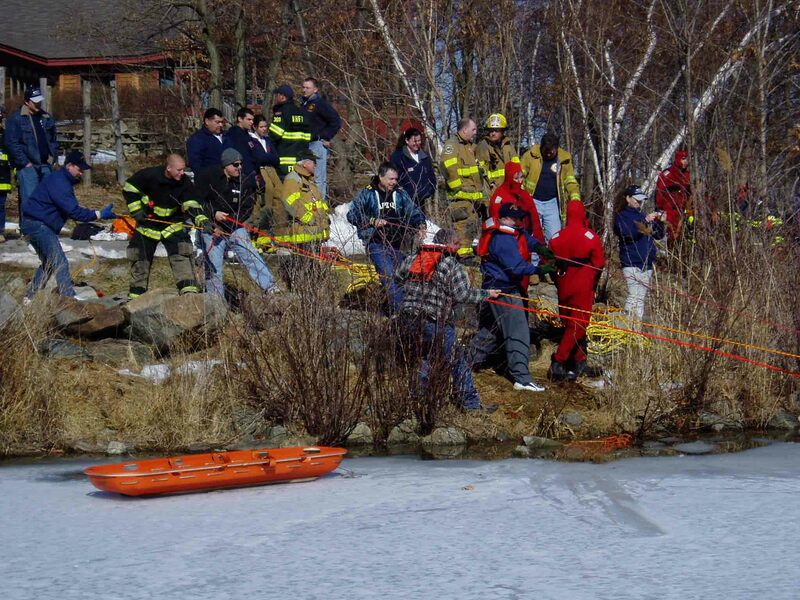 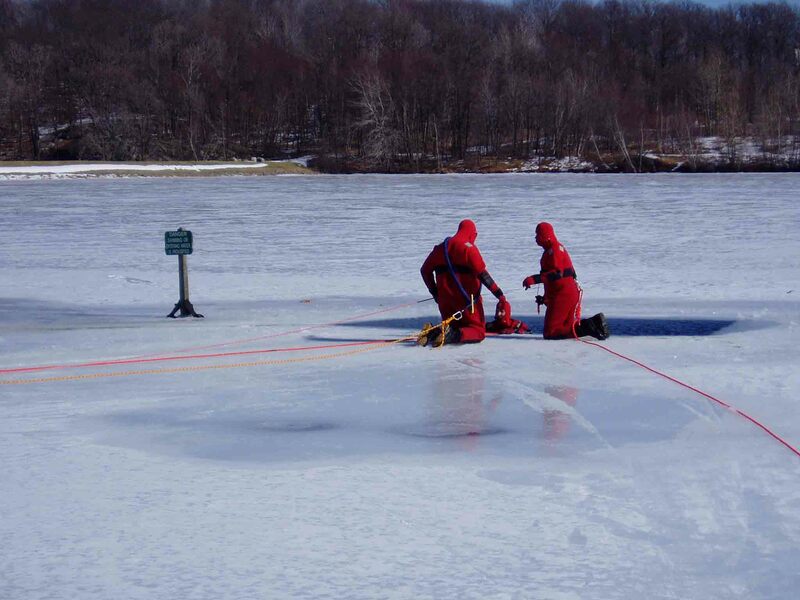 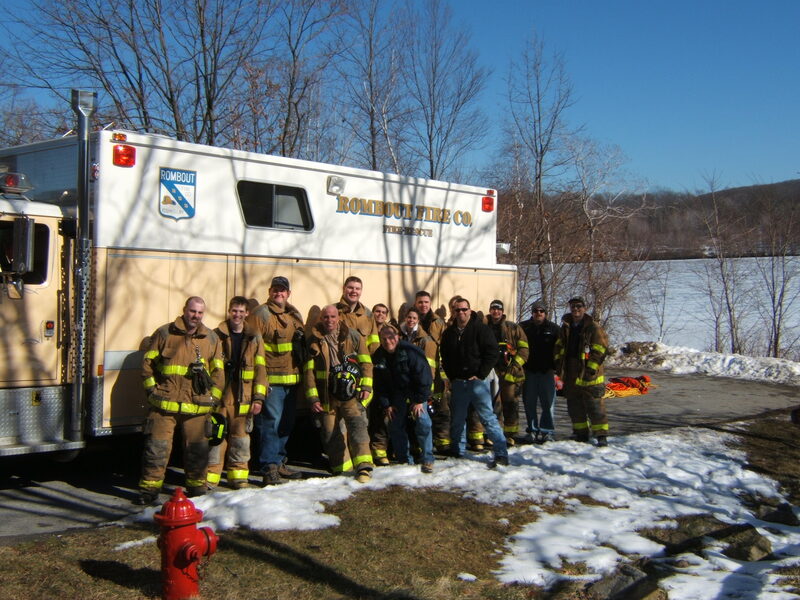 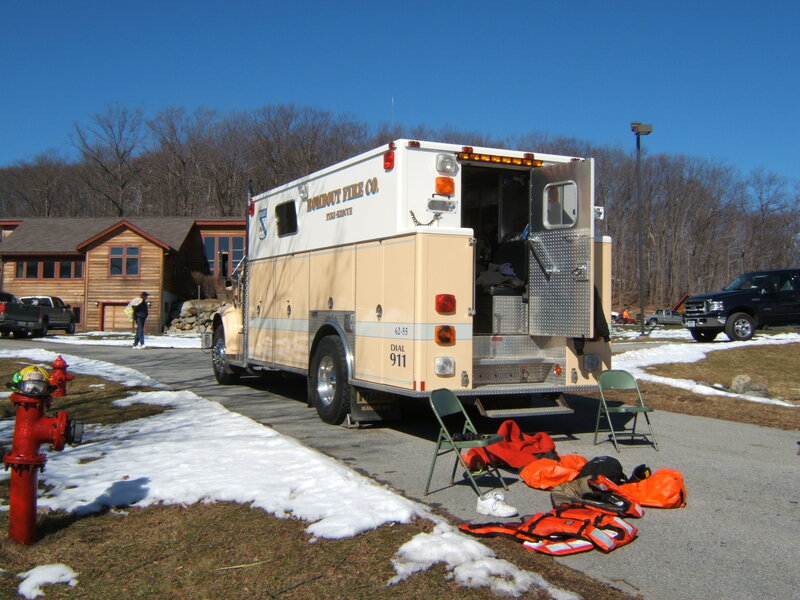 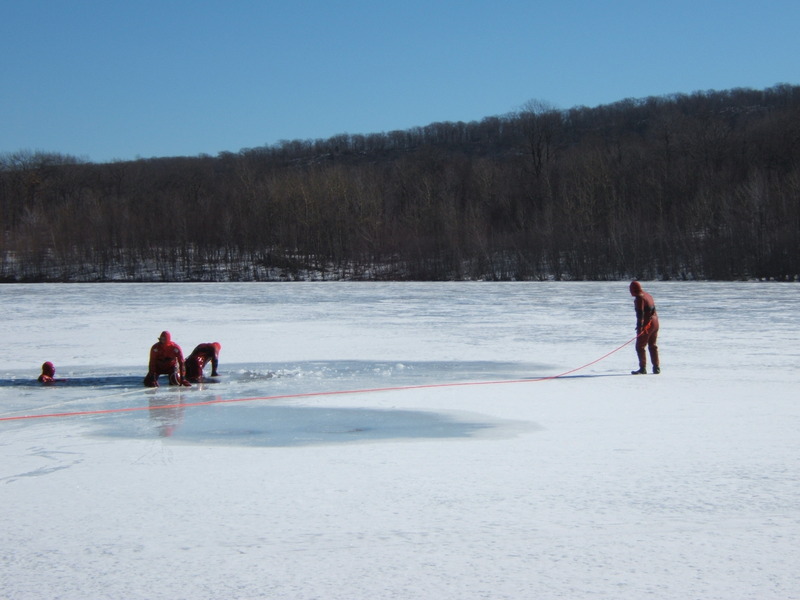 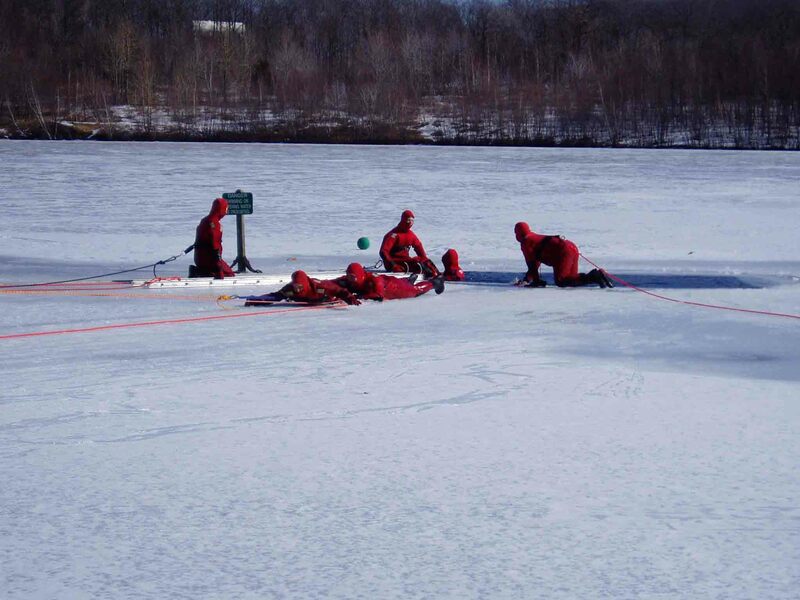 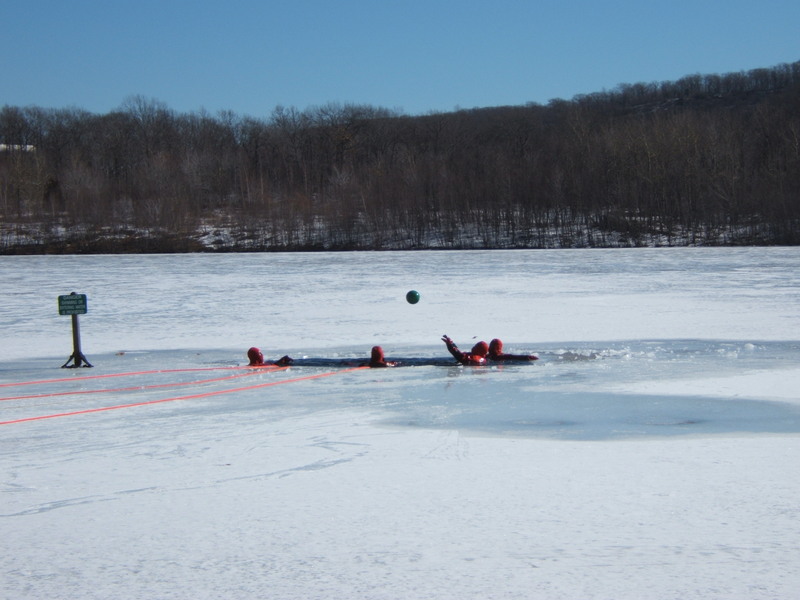 On Sunday, February 13, 2005, the Rombout Fire Company completed a day of Ice Rescue Training on the lake at Camp Mariah, in the Fresh Air Fund, at Sharpe Reservation. 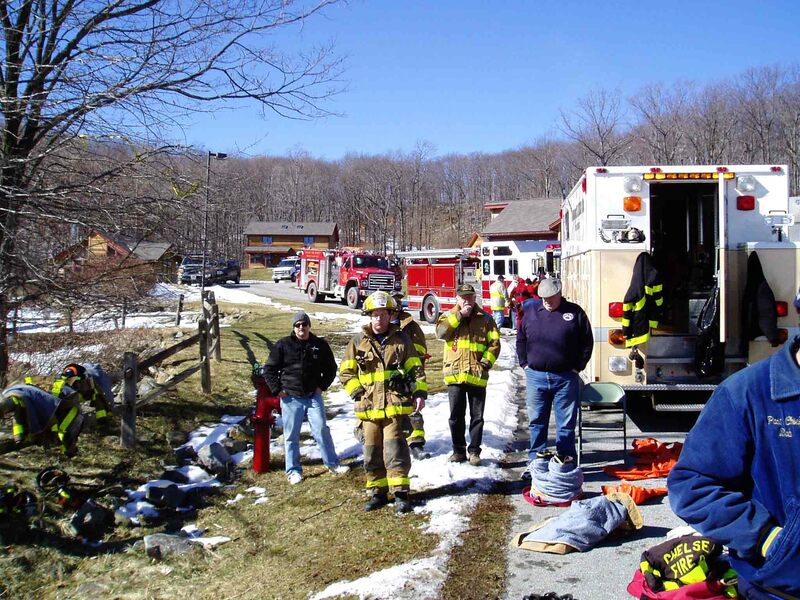 Also participating in the training exercises were the following Fire Departments: City of Beacon, Chelsea, Glenham, and North Highlands. 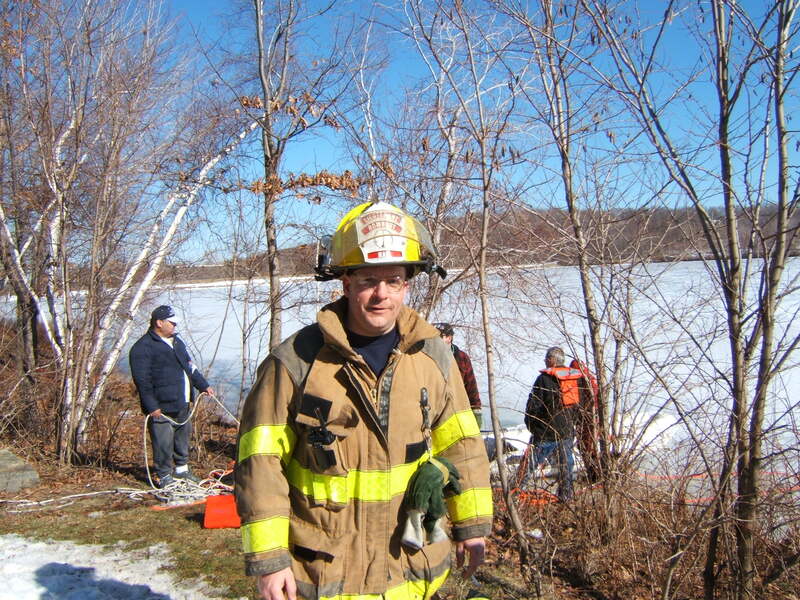 All Fire Departments would like to thank the Instructor, Mr. Craig Elderkind, of the Fairview Fire Dept.